String theory describes how these strings propagate through space and interact with each other. On distance scales larger than the string scale, a string looks just like an ordinary particle, with its mass, charge, and other properties determined by the vibrational state of the string. In string theory, one of the vibrational states of the string corresponds to the graviton, a quantum mechanical particle that carries gravitational force. Thus string theory is a theory of quantum gravity. String Theory also appears to be a problem that is stuck at the bottom of a very deep rabbit hole. One of the deepest problems in modern physics is the problem of quantum gravity. The general theory of relativity is formulated within the framework of classical physics, whereas the other fundamental forces are described within the framework of quantum mechanics. A quantum theory of gravity is needed in order to reconcile general relativity with the principles of quantum mechanics, but difficulties arise when one attempts to apply the usual prescriptions of quantum theory to the force of gravity. Although, with 26 dimensions of spacetime to play with, it might be more accurate to observe that String Theory is lost in a deep, dark rabbit warren. 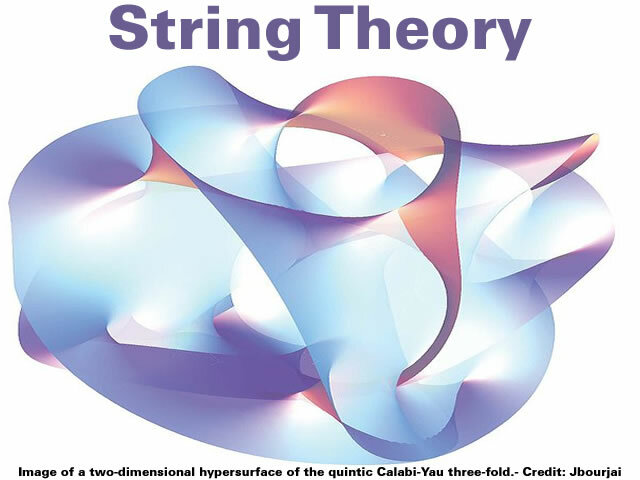 One notable feature of string theories is that these theories require extra dimensions of spacetime for their mathematical consistency. In bosonic string theory, spacetime is 26-dimensional, while in superstring theory it is ten-dimensional. In order to describe real physical phenomena using string theory, one must therefore imagine scenarios in which these extra dimensions would not be observed in experiments. Whilst groping around at the bottom of this deep, dark rabbit warren physicists are often guided by intuition and conjecture. Like many developing ideas in theoretical physics, string theory does not at present have a mathematically rigorous formulation in which all of its concepts can be defined precisely. As a result, physicists who study string theory are often guided by physical intuition to conjecture relationships between the seemingly different mathematical structures that are used to formalize different parts of the theory. Extracting themselves from this deep, dark rabbit warren may prove very difficult because [either by intuition, conjecture or mathematics] the physicists think their rabbit warren actually exists in one [or more] of the [roughly] 10500 differently shaped universes they have intuitively conjured up. To construct models of particle physics based on string theory, physicists typically begin by specifying a shape for the extra dimensions of spacetime. Each of these different shapes corresponds to a different possible universe, or “vacuum state”, with a different collection of particles and forces. String theory as it is currently understood has an enormous number of vacuum states, typically estimated to be around 10500, and these might be sufficiently diverse to accommodate almost any phenomena that might be observed at low energies. Needless to say, some critics of String Theory have come to the starling conclusion that “it’s not even science” and claim that String Theory only flourishes because it can’t be falsified since it has failed to produce any predictions. The possible existence of, say, 10500 consistent different vacuum states for superstring theory probably destroys the hope of using the theory to predict anything. If one picks among this large set just those states whose properties agree with present experimental observations, it is likely there still will be such a large number of these that one can get just about whatever value one wants for the results of any new observation. When does physics depart the realm of testable hypothesis and come to resemble theology? Peter Woit argues that string theory isn’t just going in the wrong direction, it’s not even science. Not Even Wrong shows that what many physicists call superstring “theory” is not a theory at all. It makes no predictions, not even wrong ones, and this very lack of falsifiability is what has allowed the subject to survive and flourish. Peter Woit explains why the mathematical conditions for progress in physics are entirely absent from superstring theory today, offering the other side of the story. In this illuminating book, the renowned theoretical physicist Lee Smolin argues that fundamental physics — the search for the laws of nature — losing its way. Ambitious ideas about extra dimensions, exotic particles, multiple universes, and strings have captured the public’s imagination — and the imagination of experts. But these ideas have not been tested experimentally, and some, like string theory, seem to offer no possibility of being tested. Yet these speculations dominate the field, attracting the best talent and much of the funding and creating a climate in which emerging physicists are often penalized for pursuing other avenues. As Smolin points out, the situation threatens to impede the very progress of science. 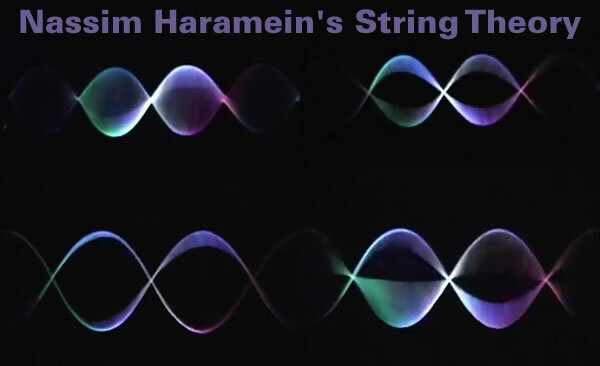 However, it you are interested in observational science Nassim Haramein has developed a String Theory 🙂 that shows the vorticular action of a rotating system can produce sine waves. Gallery | This entry was posted in Books, Science, Vortices. Bookmark the permalink. String theory looks a lot like a job creation scheme for academics, from a layman’s perspective. What is the downside of ignoring it?